I made these almost exactly as written. 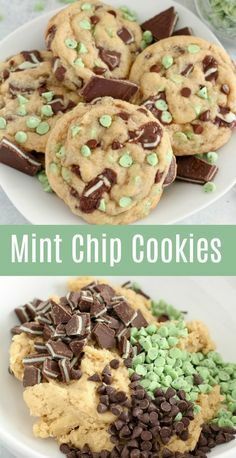 I did not include the green mint chips. Everyone loved them! They made the best addition to homemade Christmas gifts. They were very easy to make. I used an entire 28 piece package of Andes mints and a half cup of chocolate chips. Perfect! I also made them smaller and got 36 cookies.